A criminal court hearing for a former Flint emergency manager is scheduled for September. Darnell Earley was originally indicted back in December 2016 on various charges related to the Flint water crisis. But his day in court has been delayed as prosecutors have spent time painstakingly outlining cases against other defendants. A former Flint emergency manager is scheduled to appear in a courtroom Friday. 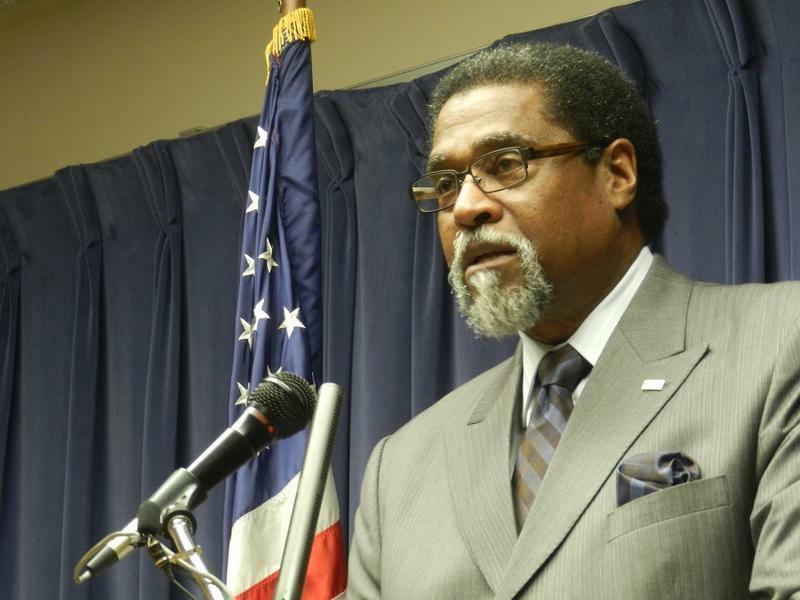 Darnell Earley oversaw Flint city hall during the city’s disastrous drinking water switch to the Flint River in April 2014. 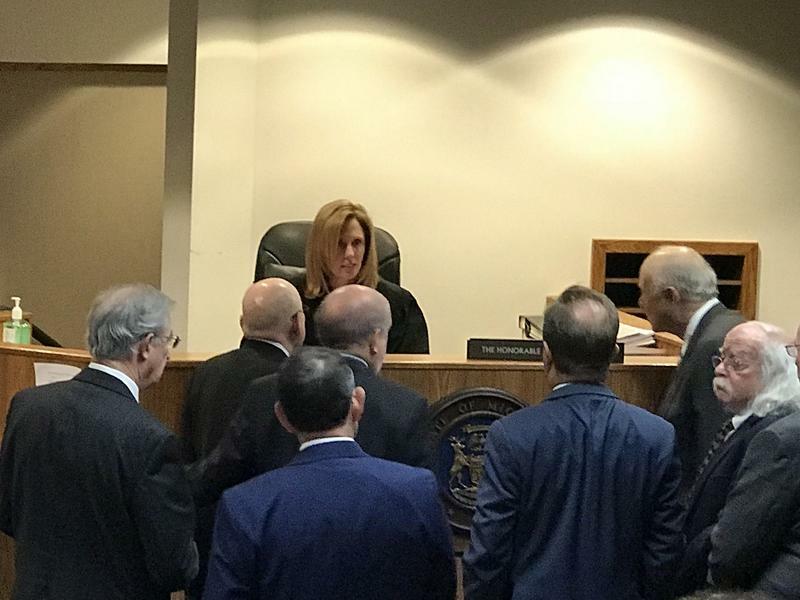 He’s among 15 current and former government officials criminally charged in connection with the Flint water crisis. Darnell Earley has been waiting for his preliminary hearing to begin for more than a year. Earley and former Flint public works director Howard Croft face a variety of charges, including involuntary manslaughter. Two figures in the Flint water crisis are due in court Monday. Michigan Department of Health and Human Services director Nick Lyon returns to district court in Flint for the 21st day of his preliminary hearing on a variety of charges, including involuntary manslaughter. Former Flint emergency manager Darnell Earley is scheduled to appear in court Monday. Earley served as Flint’s emergency manager from September 2013 through January 2015. It was during that time the city’s drinking water source was switched to the Flint River with disastrous results. Prosecutors charged Earley with Misconduct in Office, Neglect of Duty and False Pretenses. He’s also facing an involuntary manslaughter charge. The judge overseeing Earley’s preliminary exam will decide if there’s enough evidence to send the case to trial. One of the Flint residents to first sound the alarm about the city’s water problems testified today that state environmental officials refused to listen. Lee Anne Walters testified against Department of Environmental Quality officials charged with various crimes related to the Flint water crisis. The government's chief prosecutor in the Flint water crisis criminal case suggests top officials pressured state employees to switch Flint’s water source before the city was ready to treat it. Special Counsel Todd Flood says he plans to call two dozen witnesses this month for the preliminary hearing for four current and former Department of Environmental Quality staffers. The four face a variety of charges related to the Flint crisis. The Flint water crisis criminal process is set to resume after taking a break for the holidays. State health department director Nick Lyon is due to return to court next week. 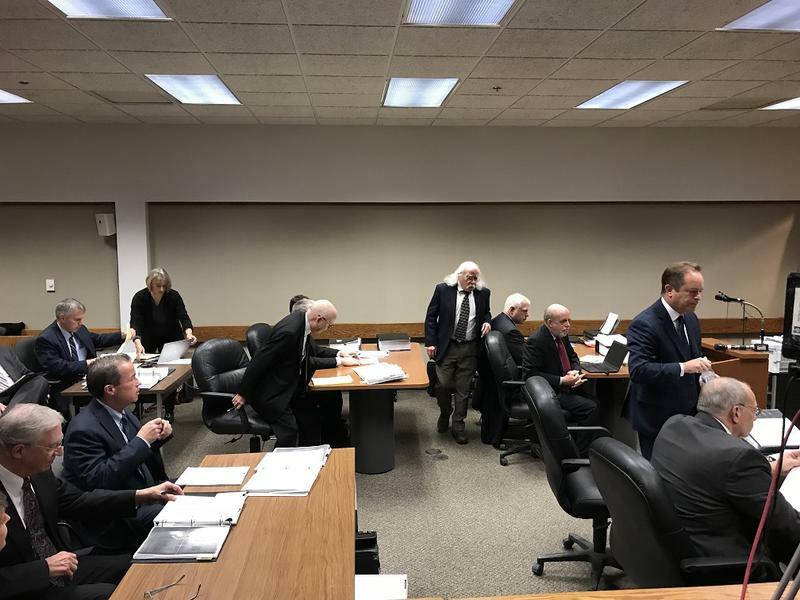 For the past several months, a series of witnesses have testified about how the health department under Lyon was slow to publicly reveal a deadly Legionnaires disease outbreak in Genesee County. Lyon is charged with involuntary manslaughter in connection with that outbreak. 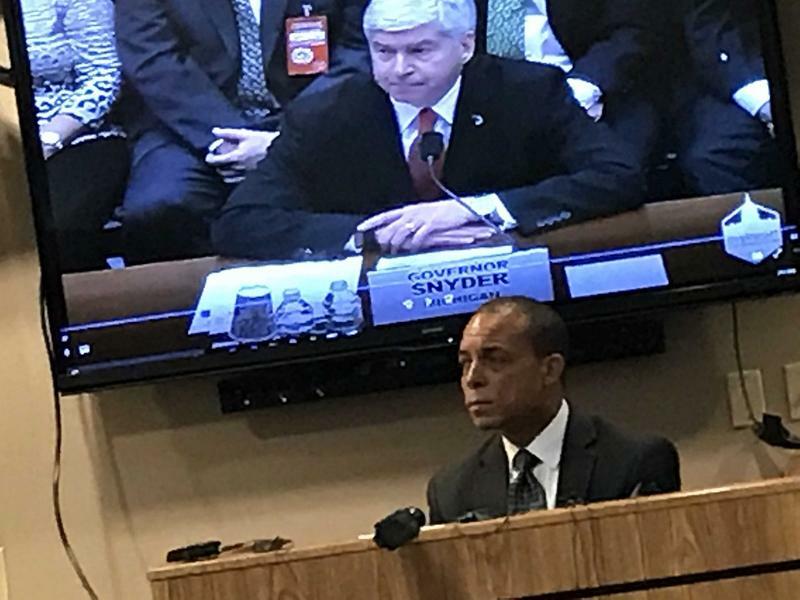 Another top state official is scheduled to appear in a courtroom in Flint Monday in connection with that city’s tainted tap water crisis. 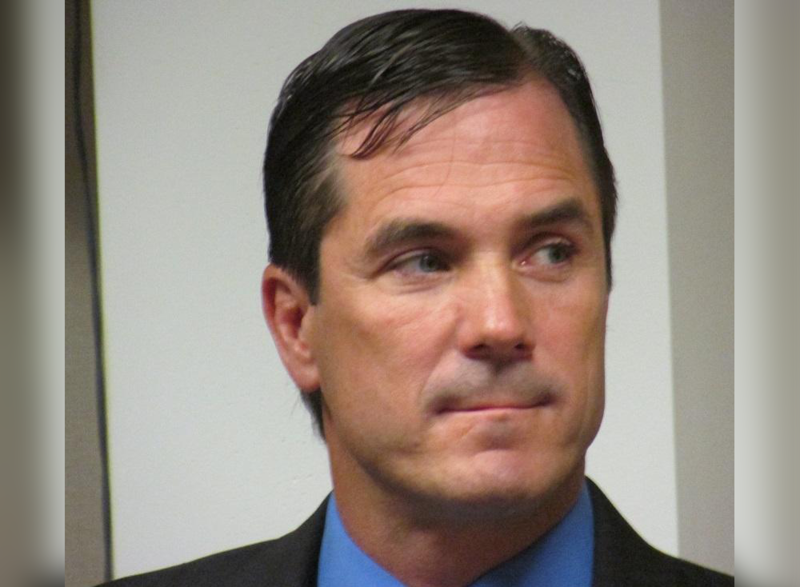 A top state official will face new charges in the Flint water crisis. Dr. Eden Wells is Michigan’s Chief Medical Executive. She was already charged with obstruction of justice and lying to a police office. Special Counsel Todd Flood announced in court this morning that he plans to file involuntary manslaughter and misconduct in office charges against Wells. “Based on new review of other documents and testimony that came out last week, we believe that discovery put us in this place,” says Flood. Michigan’s top doctor, Eden Wells, will be in a Flint courtroom Monday. The hearing will determine whether she'll go to trial on charges related to the Flint water crisis. 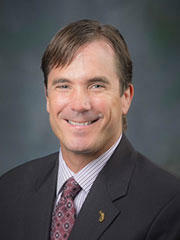 Dr. Wells is Chief Medical Executive in the state health department. Wells is charged with “obstruction of justice” and “lying to an officer” in connection with a Legionnaires' disease outbreak during Flint’s tap water crisis. Wells allegedly lied when she claimed she had no knowledge of the outbreak until September 2015, when she actually was aware of it six months earlier. Who should issue a health alert and when they should do it became the focus during a long day in a Genesee County courtroom today. State health department Director Nick Lyon is charged with involuntary manslaughter in the death of Genesee County man in 2015. More than a dozen people died during the Legionnaires' disease outbreak in Genesee County from 2014 to the end of 2015. It’s back to court this week for state Health Department director Nick Lyon. Lyon’s preliminary exam on an involuntary manslaughter charge is scheduled to resume on Wednesday. Last month, prosecution witnesses testified that Lyon was aware of the Legionnaires outbreak in Genesee County in January 2015. But the public was not informed until a year later. At least a dozen deaths have been linked to the outbreak from 2014 to 2015, with roughly half the deaths occurring after state health department officials became aware of the problem. Tomorrow, a judge will begin hearing the prosecution’s case against State Health Department Director Nick Lyon. It’s the first preliminary exam in the ongoing criminal investigation of the Flint water crisis. Nick Lyon is charged with involuntary manslaughter in connection with a deadly Legionnaires' Disease outbreak in Genesee County in 2014 and 2015. The outbreak killed at least 12 people.